This week’s Sepia Saturday focuses on old books and the treasures (photographic or otherwise) found in them. I don’t think I’ve ever found photos tucked away in old books but we did find a group photo behind another picture from my Grandparents’ house and I talked about that in my Moustaches and Mystery post recently. Instead I thought I’d share a few book inscriptions with you. Over the past year I’ve acquired some of the family’s old books, including my childhood books, thanks to Mum’s move to an independent retirement unit. Book inscriptions can be interesting I think as they reveal otherwise hidden parts of an ancestor’s or relative’s life. Back in the days when books were expensive and only rarely bought by families who weren’t affluent, they were often gifts or even school prizes. Two of the books I have included prizes awarded to family members. 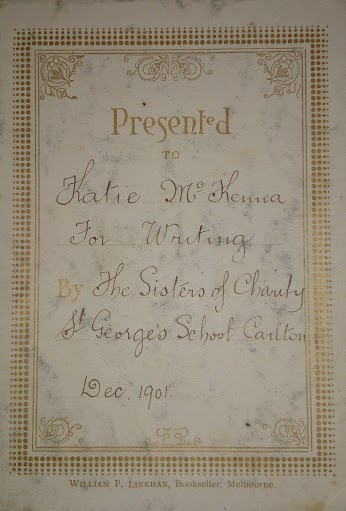 One was for Mr Cassmob’s grandmother, Katie McKenna, for writing in 1901. 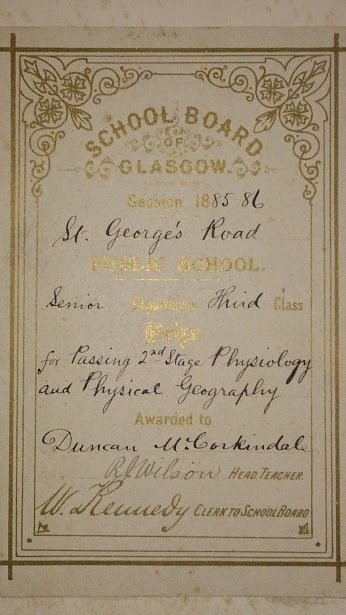 Another was for my grandmother’s brother, Duncan McCorkindale, who was awarded the prize for passing second stage physiology and physical geography in his Glasgow school. In fact it was something about Duncan that was one of the few things I found tucked away in a bible: the notice of his rather gruesome death in Sydney. Which makes me realise that I’ve never written about that story, or his role in the building of the nation’s capital, Canberra. I need to put that on my blog post list. I’m curious who this book belonged to as there’s no inscription, and no publication date. 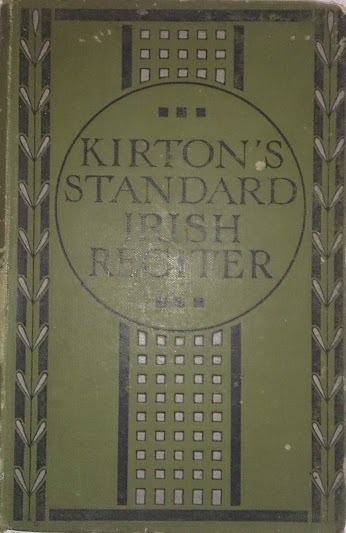 My best guess is that it belonged to my Irish grandfather or one of his children. A while ago I wrote about a prize that my grandfather’s young brother had won, but I’ve no idea what his prize was. I wonder if it too was a book. Have you found prize inscriptions in books you’ve inherited, either from your family or a used-book store? To read the stories other Sepians have submitted this week you can click here. 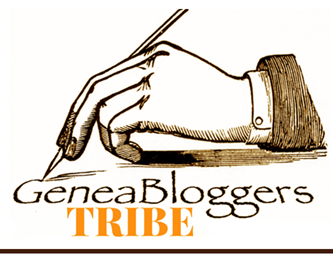 A while ago Alona from LoneTester HQ blog launched the It’s All in the Numbers Geneameme. For ages my mind was blank on what numbers would be relevant, but eventually the lightbulb went from dim to bright and here is my contribution, focused as so often, on my immigrant ancestors. 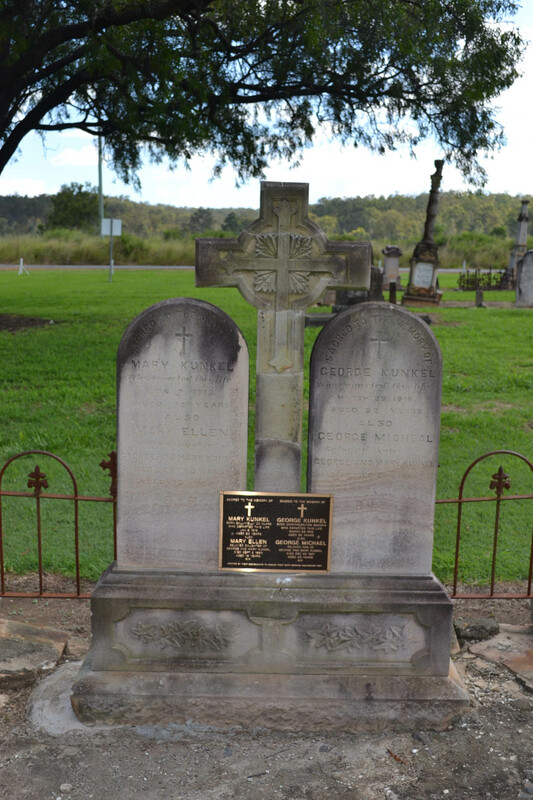 But first I want to remember my great-great grandmother Mary O’Brien Kunkel who was buried in the Murphys Creek (Qld) cemetery on this day 95 years ago. You’re not forgotten Mary. My McSherry great-grandparents and some of their children, kindly provided to me by a cousin. 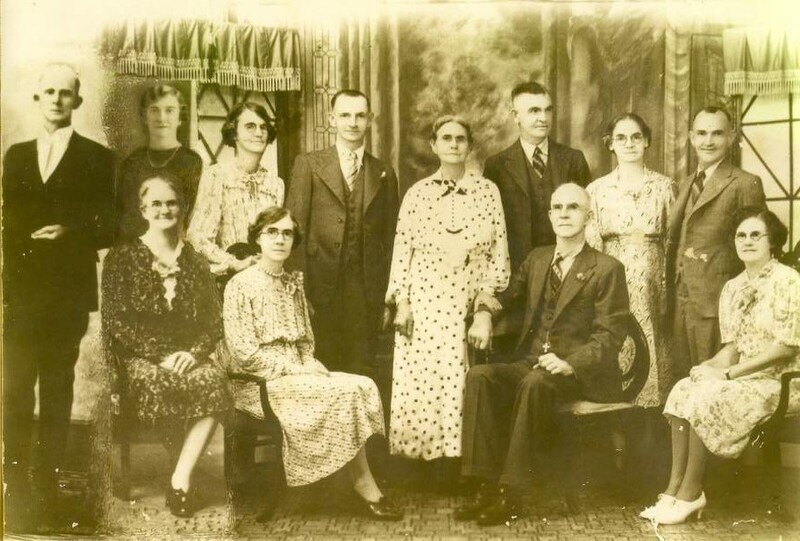 My grandfather on the left, and his sister beside him seem to be an addition to the photo. 3 most name changes – from Sherry on arrival to McSharry for the parents and most children (many adult) and McSherry for my own great-grandparents (2nd phase arrivals a year later). 15 most children in one family, to Peter and Mary McSherry; with Stephen and Emily Melvin in second place, with 14 children. The Capricornian (Rockhampton, Qld. 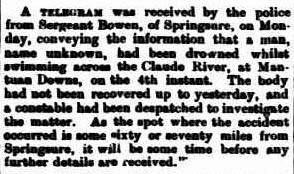 : 1875 – 1929), Saturday 12 March 1887, page 17 The unidentified man was John McSharry, aged 22. 2 set of twins to my great-grandparents – one set died as still births, another daughter died in infancy, but one survived. 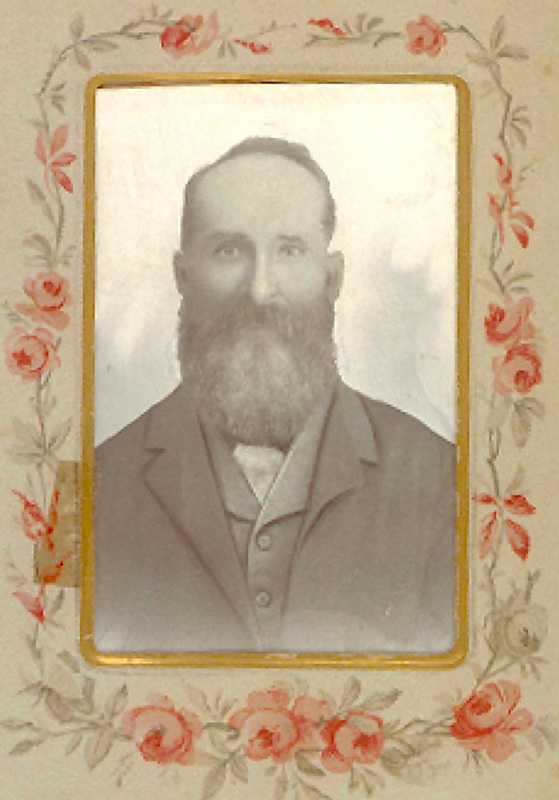 1 most elusive ancestor – James Sherry aka James McSharry – but not to be confused with the man of the same name who co-owned O’Rourke & McSharry, a big railway construction company. 11 children born to my Kunkel 2xgreat grandparents and great-grandparents. 10 to George and Mary survived infancy and 11 to George and Julia. Thanks Alona for suggesting this topic. It took a while for me to get my head around it but once I settled on the theme I really enjoyed it. And here is the grave of my Mary O’Brien, husband George Kunkel and two of their children including my great-grandfather George Michael Kunkel. A few days ago I suggested a new open-ended Flowers of Remembrance geneameme: which flowers remind you of your family (close and distant) and perhaps even friends. I’d been reflecting how certain flowers, or plants, made me think of those who’ve gone before me and wondered if other people did the same. So here is my own response: a mix of fragrances, flowers and plants. My Aunty Emily (great aunt) was like a grandmother to me after my maternal grandmother died. Aunty Emily makes me think of pansies because they were on the china she gave me and her own china, the magnificent roses in New Farm Park where’d we meet for an outing. She also makes me think of the fragrance of lavender and violets. 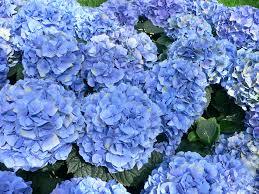 My paternal grandmother is always associated with big blue-purple hydrangeas, which she had growing in tubs under the verandah. I don’t recall ever seeing cut flowers in the house. My paternal grandfather makes me think of maidenhair fern which he had growing in old casks under the same verandah. Why he makes me think of ferns and her of flowers I don’t know…gender bias? Dad conjures up thoughts of gerberas and roses. The gerberas were large double ones, usually orange, and he got the seeds from a nursery in Bundaberg (Bauer’s I believe). His Roundelay roses were spectacular and I loved a candy-pink and cream-striped rose that he grew as well, even though I usually dislike variegated plants (can’t retrieve its name). The mango tree and its flowers – the tree that was planted when he was born all those years ago – although a bit scruffy looking, still holding on, ninety odd years later. Mum and flowers go together like a horse and carriage. We often had cut flowers from the garden in the house. Floral thoughts take me to pansies, sweet peas and Dad’s roses. 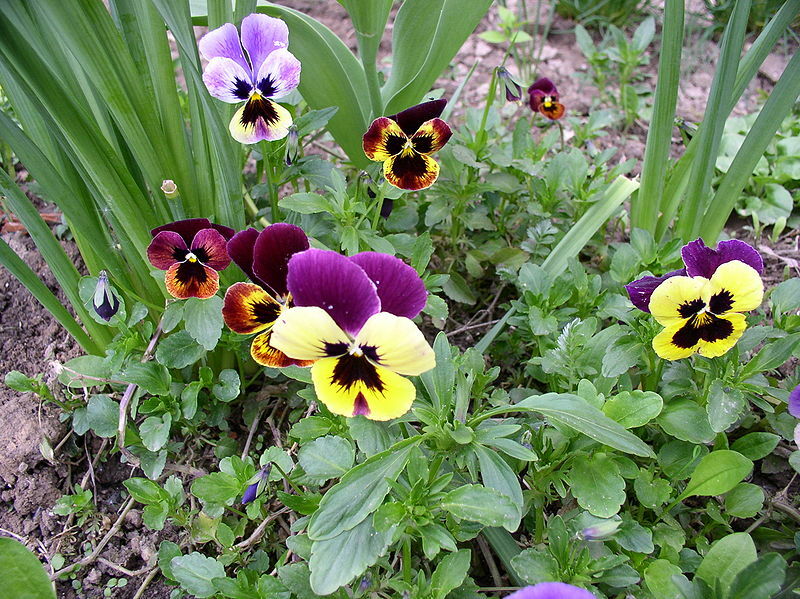 The roses and sweet peas would go in a crystal vase but the pansies were always displayed in a heart-shaped frosted green-glass dish where they sat perfectly. Mum was also behind my habit of taking flowers to school for feast days and other special occasions. Flower arranging has been a hobby of hers for a very long time, for her own pleasure and for use in the church, or indeed our wedding reception. 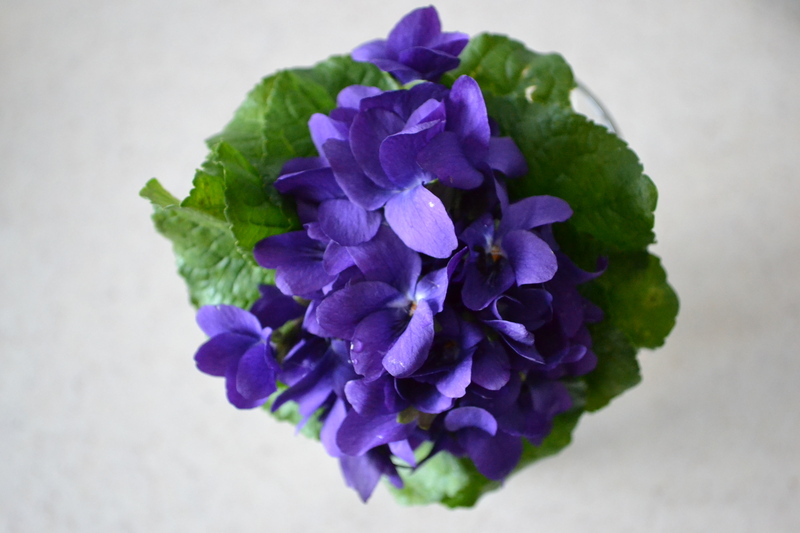 Mr Cassmob is forever associated for me with the dainty bunches of violets he would buy for me while we were at uni –the jealous looks I’d get you wouldn’t believe. The fragrance was magnificent. He also evokes red roses and hibiscus and I thank my lucky stars that his mother taught her son not only to love flowers, but to buy them for his wife. My mother-in-law loved flowers but only displayed them, one or two at a time, in tiny vases. 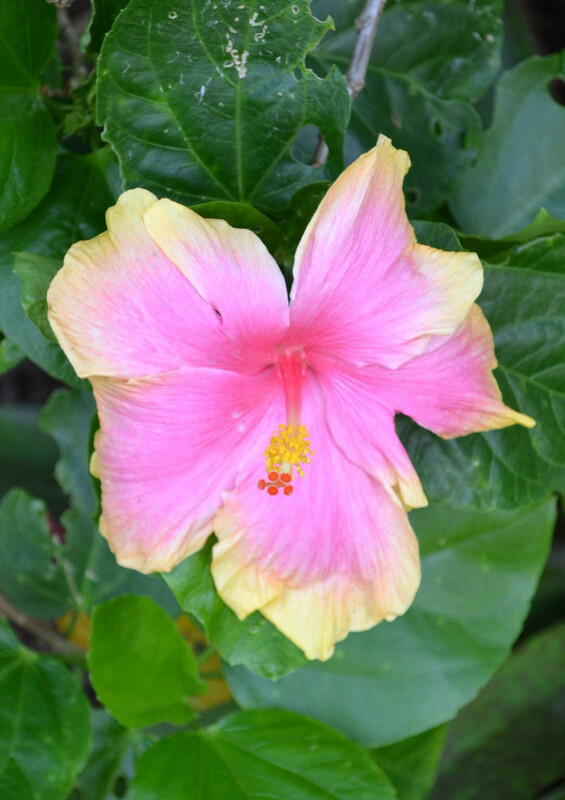 Her favourites were hibiscus which she grew in Papua New Guinea, including importing a special purple one from Hawaii back in the 1960s. Each day a new hibiscus would be placed in a small upside-down bowl on the dining table. 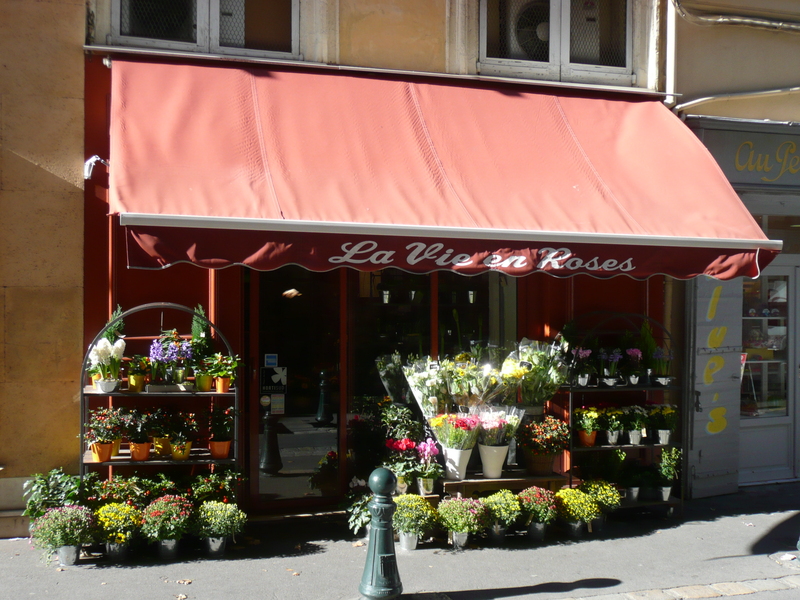 At her husband’s funeral we learned that he had bought her yellow roses, so that’s an earlier association. My father-in-law, apart from those yellow roses, was happy to have flowers around, as having Kaye happy was one of his raisons d’être. 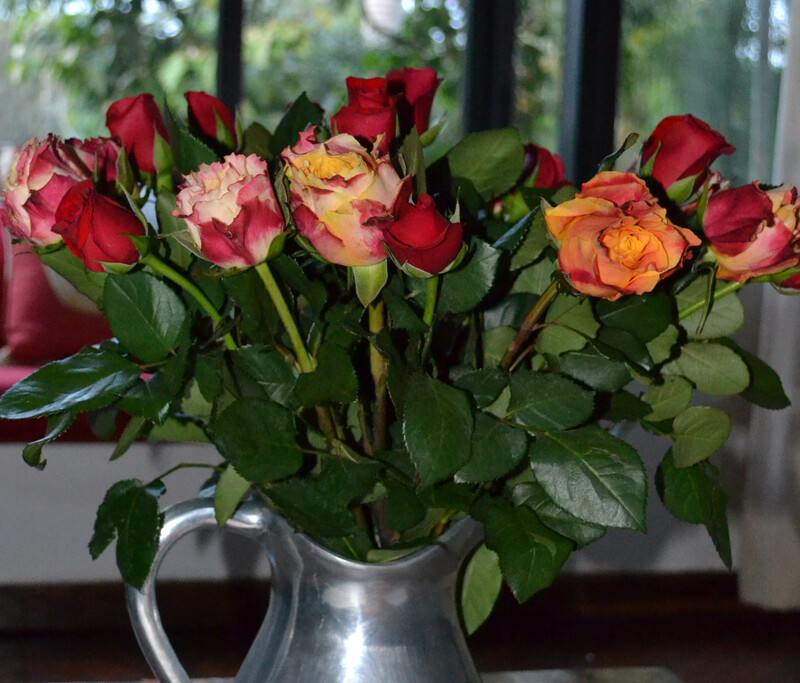 One daughter also loves fresh flowers in the house, whatever is seasonal, and for some of us our memories will be of her Nairobi house filled with gorgeous roses. Another daughter turns my thoughts to flower arrangements which she seems to accrue fairly often in her teaching role and orchids and stargazer lilies remind me of her wedding. My husband remembers his grandmother in country Victoria, for her mulberry trees, and his other grandmother for the roses in the front garden. My good friend Linda is a lover of all flowers but especially the fragrant ones: jasmine, gardenias and camellias. Another friend has frangipani in her Christmas displays. Thoughts of another friend bring to mind the hoya cutting we gave her, that has gone beserk and grown magnificently for her. And my own favourites? What would others say? 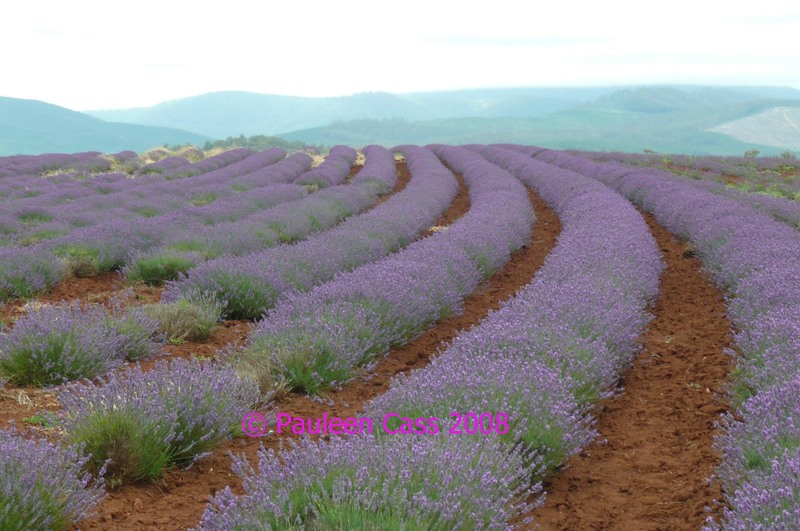 Perhaps lavender or grevilleas or frangipani …or just any flowers. Mr Cassmob says violets and red roses. My daughters might say the Stargazer lilies that we so often have in the house here. What I really dislike are arum lilies and gladioli which remind me of the many funerals I attended at my primary school. Recently I’ve been developing a passion for peonies which is thwarted because you just don’t see them here. Even though I don’t know my distant ancestors, I’d associate George Kunkel with orange blossoms from his fruit orchard, and of course what else would Mary O’Brien evoke but shamrocks? I hope you’ve enjoyed this little geneameme with its evocation of sight, fragrance and those we’ve loved, now or in the distant past. What it’s made me realise is how little I know about the flower preferences of some of my friends, and that not everyone has cut flowers in the house. I know some people prefer them to stay on the bushes (Robyn, are you reading?) but I like them in both places. Do you have seasonal or travel floral memories? Mine are: jacarandas flowering in Spring in the Great Court, or round the lake, as a prelude to exam time at The University of Queensland; a mass of pink Eucalyptus ptychocarpa (now apparently Corymbia ptychocarpa) blossoms that appear in Brisbane and Darwin at this time of year; the bright yellow pom-poms of Xanthostemon in Brisbane summers (spectacular last year); native violets blanketing the garden; masses of grevillea in spring, the cerise flowers of Melaleuca viridiflora smothering the tree in my parent’s backyard. The Cassia fistula’s magnificent yellow pendulous flowers in Brisbane and Port Moresby, and their hazardous seedpods; and the Golden Raintree (Koelreutia paniculata) on our Brisbane footpath. 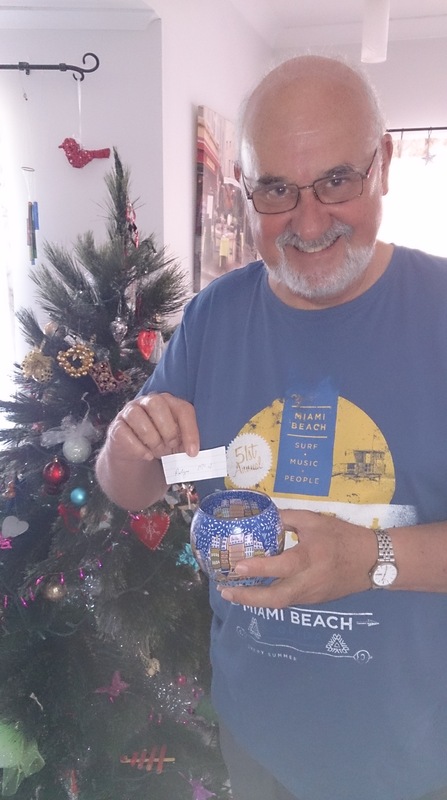 The arrival of the Christmas owls in the liquidamber in our Brisbane back yard remain a precious memory even though the tree-phobic neighbour has won out and had the tree removed. The poincianas bursting into red flower as Christmas approaches, the pinks of the frangipani at Christmas and the flush of white on the melaleucas, the waterlilies on the billabongs in Kakadu. The wonderful gardens we visit during each year’s Open Gardens scheme throughout the Dry Season. Do you remember those Scratch’n’Sniff books which were around in the early 70s? That’s what we need for today’s post! If you haven’t already posted on this topic, why not join in? Please leave your link in the comments or use a #flowersgeneameme twitter tag. It seems that this past few days have been a voyage of discovery. First I think I’ve cracked the mystery of my Mary O’Brien’s arrival even though there’s some archival searching to be done, then a repeat search of Trove for George Kunkel turned up another gem! And yes, this should have been a Trove Tuesday post, but then again it’s no longer Tuesday. 1 handsome Carriage, 1 Cedar Table (Pine Top), 5 Chairs, 2 Forms, 1 Dressing Table and Cover, 2 Clocks, 2 Pictures, 1 Decanter, 1 Cruet Stand, 6 Tumblers, 1 Butter Basin and Glass, 3 Chimney Ornaments, 1 Double Cedar Bedstead, 1 Single Cedar Bedstead, 1 Box. 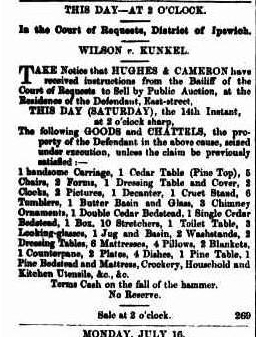 10 Stretchers, 1 Toilet Table, 3 Looking-glasses, 1 Jug and Basin, 2 Washstands, 2 Dressing Tables, 6 Mattresses, 4 Pillows, 2 Blankets, 1 Counterpane, 2 Plates, 4 Dishes, 1 Pine Table, 1 Pine Bedstead and Mattress, Crockery, Househlold and Kitchen Utensils, &c., &c.
It was around 1866 that the Kunkel family appeared to have headed west with the new railway line to Toowoomba. It’s believed George worked on it, but perhaps another possibility is that he was working as a butcher supplying the men, just as he did on the Tooloom goldfields. Perhaps this explains why the family needed to move. If the proposed auction of their belongings proceeded on that Saturday, surely the family would have been left with little to support daily life. What I find interesting is that the sale focuses on his household belongings. Did he no longer have any business assets? While it was generally required that a man be permitted to keep the equipment needed to do his job, surely there would have been something else to sell than the beds from under their bodies. There’s another “spin” to this, too, because when George and Mary’s daughter Elizabeth (always known as Louisa) was born in March 1866, George states his occupation as “boarding house keeper”. It seems he was following on the skills learned at his mother’s knee and generations of Happs who ran Das Goldenes Fass inn back home in Dorfprozelten. Perhaps the reason there are so many assets listed here is because they were part of the boarding house rather than the family’s own. Nevertheless it’s clear they were reasonably well fitted out for a working class family with five children. All those questions aside I wondered what had brought George to this point. I’d never found a bankruptcy case or a liquidation order against him. Queensland Times, 7 July 1866 UNDEFENDED CASES There were forty-five undefended cases on the sheet, of which a great many were disposed of out of Court or dismissed from non-appearance of the parties. Verdicts were given for plaintiffs in the following cases, with costs as appended. Further research of Trove revealed at least part of the cause. George was being pursued for dishonouring a £6 promissory note as well as the cost of goods purchased (but presumably not paid for!) of £8 2s 6d. In both cases Wilson was claiming 5 shillings costs, so another £1 to add to the original £14/2/6. It seems apparent that George had got himself into financial difficulties perhaps by being over-extended in his business arrangements. Their son Thomas was born circa 1868, and his birth and baptism are the only ones I cannot find from the 10 children. 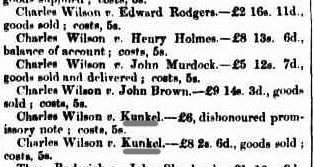 My conclusion is that somewhere soon after this financial debacle in mid-1866, the Kunkel family started westwards for the Darling Downs. They later took up a selection at Murphys Creek in 1874. They would never live in Ipswich again, though their granddaughter expressed the view that it was a shame they’d left there, presumably not knowing the reasons why, or echoing something she’d been told as a child. Trove Tuesday is a theme created by Amy from Branches, Leaves and Pollen blog. 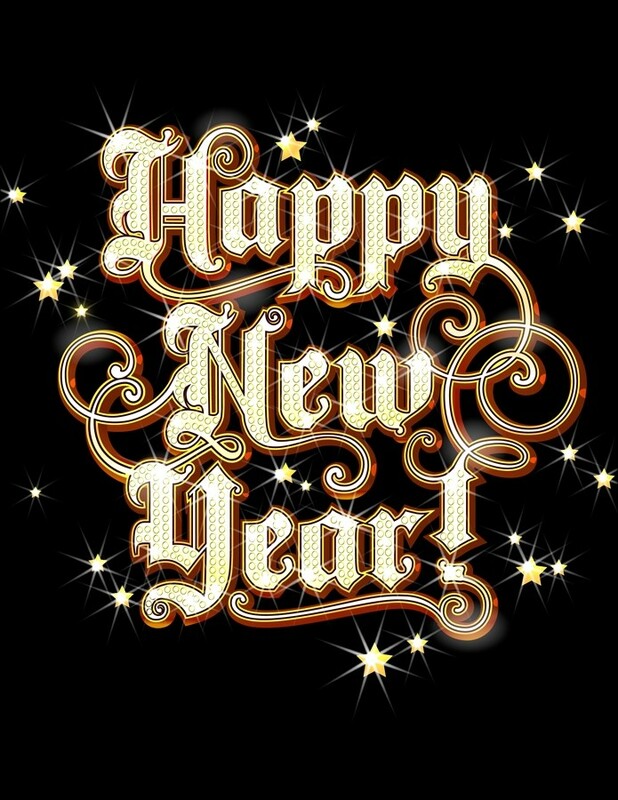 Happy New Year to all my readers. I hope 2014 brings you lots of genea-discoveries, good health and happiness in your life. May we all have lots of blogs to enjoy with inspiring ideas and great stories. It’s not just our families who shape our history and share our stories but also their friends, associates and neighbours (FANs). FANs can reveal more nuances in our families’ lives and may turn up completely different information or confirm family anecdotes. Whether your brick wall comes tumbling down or not, researching FANs will certainly add texture to your story. I include wider family networks under this heading too, as the temptation is to focus only our direct ancestors. Are your ancestors hiding behind their FANs? As you know I’ve had my own FANs success this week with the discovery (I think) of my Mary O’Brien Kunkel’s arrival in Australia on the Florentia in April 1853. If I hadn’t been chasing her sister, it’s unlikely I’d have ever found this gem. So now I can also look forward to another exciting aspect of the 2014 Cruise. The barque Florentia’s first landfall in Australia was Hobart Town, so as we sail into Hobart on 10th February Mary O’Brien will be very much on my mind. Our experiences couldn’t be more different: I will be arriving on a luxury cruise ship with all mod cons and a huge passenger complement. Mary arrived on a barque carrying a total passenger+crew load of approximately 300, about 10% of the Voyager of the Seas’. Mary had been at sea nearly six months, I will only have been at sea for six days. The gathering of genealogists on this cruise will be 245 genea-fans, exactly the same as the number of immigrants on the Florentia!! Something tells me that I was meant to take this voyage. 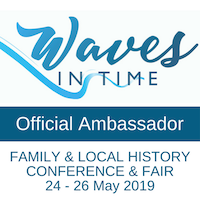 You can see an image of the Florentia here –the ship specifications clarify that the barque used to bring out convicts in the 1820s and 1830s is that same ship on which Mary and Bridget O’Brien sailed[i]. You can check out ship’s specs in the Lloyd’s Registers which have now been digitised. Why not have a look at the list of presentations which are going to be on offer during the cruise? I’m wondering how I’ll even manage to sneak in a swim let alone test whether I have any ice-skating ability left. There are a number of bloggers who’ll be reporting on their discoveries during the cruise so why not keep an eye out for them. 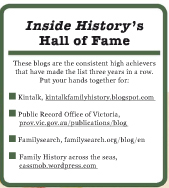 Meanwhile I’ve a new family history blog which others might find interesting. It’s called Finding Charlie Ross and the author, Rosslyn, has another blog called The Blossom Collector –I particularly like the caption explaining the blog. [i] The image comes from the National Maritime Museum in Greenwich so I’ve written asking for permission to use the image.